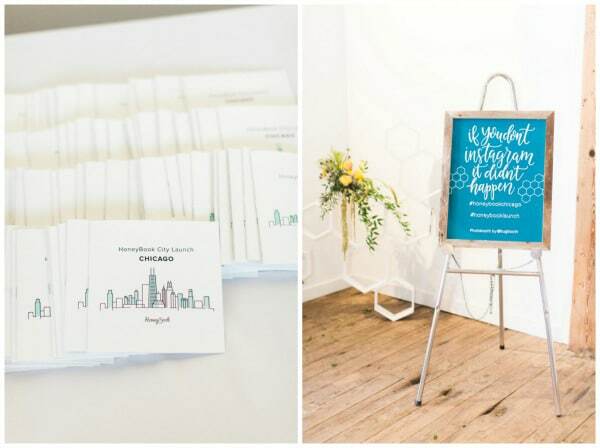 This modern, Bright Honeycomb Inspired Launch Event for Honeybook was held in Chicago. Through the collaboration and collective efforts of vendors, they turned Gallery 1028, a raw Chicago loft space into a bright, fun and social event. 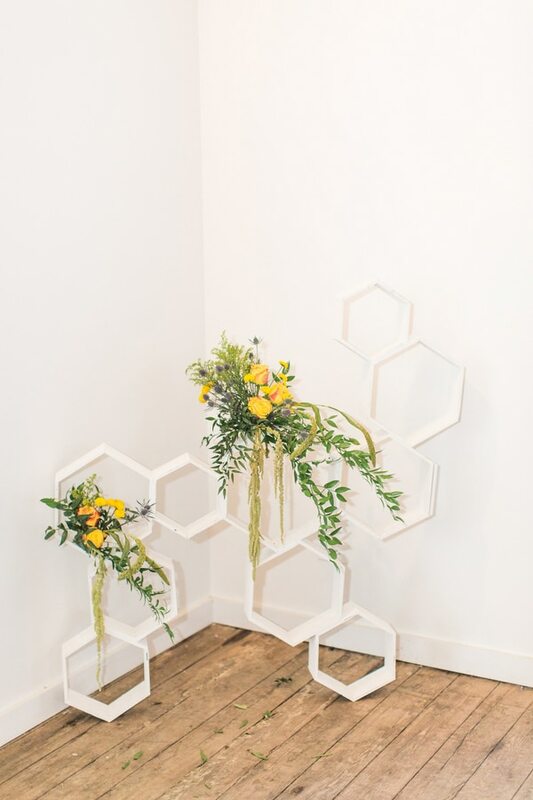 Using Honeybook’s branded colors, textures and design inspiration, they created an exciting event with pops of mint, bright yellow, and lots and lots of honeycomb! LOVE! 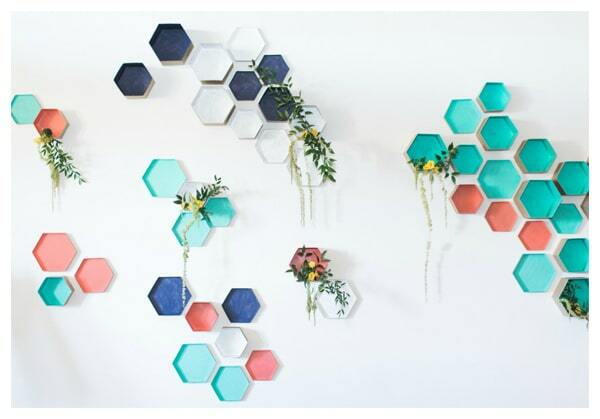 We’re just LOVING the fun honeycomb and floral decor on the wall. 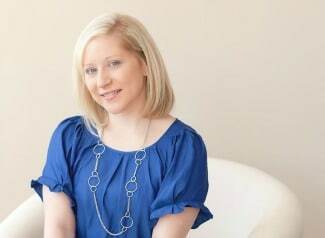 The modern, pops of color really set the tone for the event. 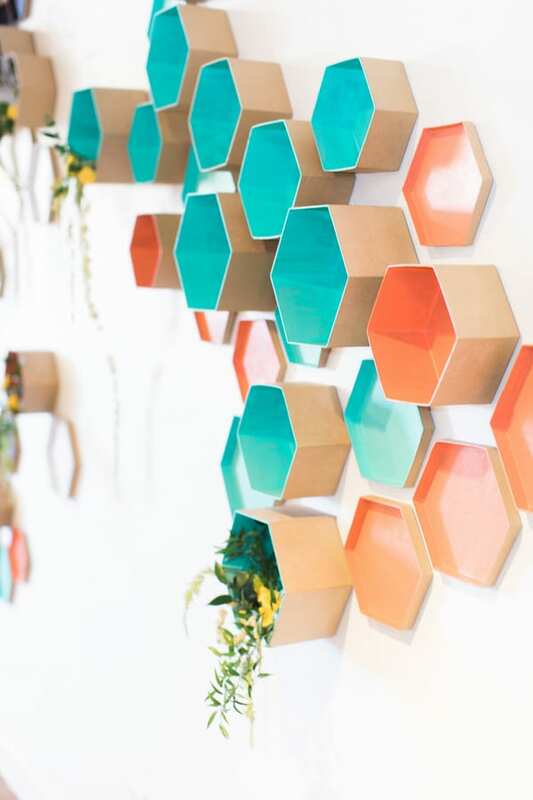 The honeycomb decor didn’t stop there. You can see this decor element around the entire party space from the floors to the tables. And, how fun is the Instagram sign with their signature hashtag?! 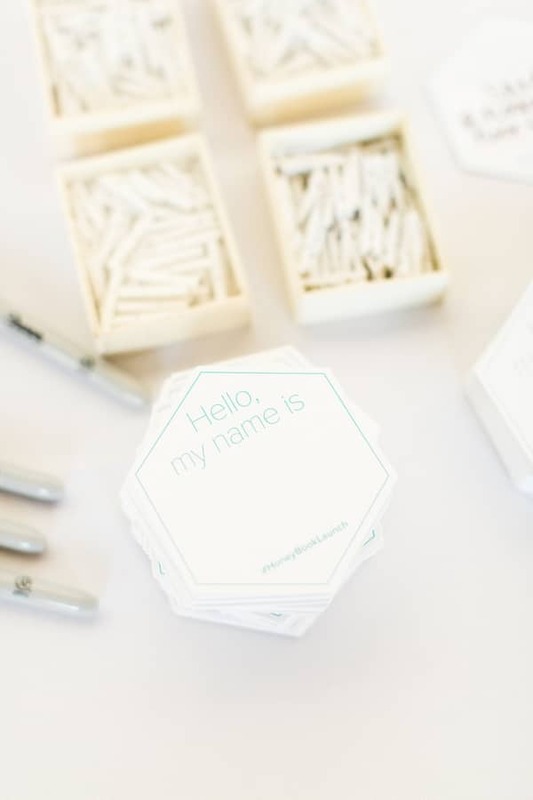 Very important for any launch event – name tags! The wooden shelf was just as unique looking as the other decor and fit perfectly with the theme. 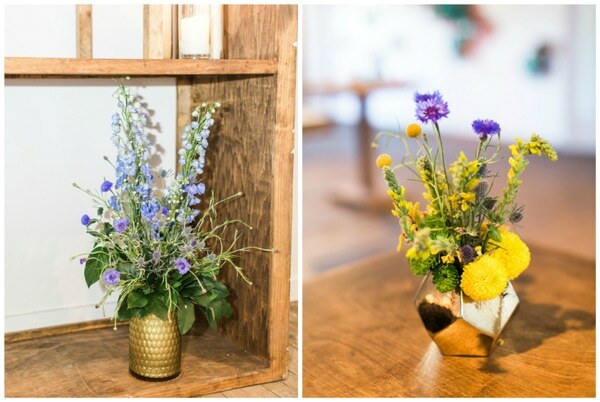 Gorgeous and bright flowers were placed into fun gold vases, which fit the theme perfectly! 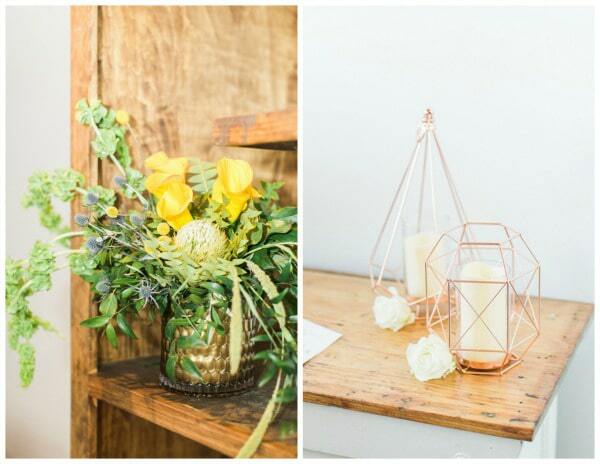 Even the fun gold candle holders were geometric shaped! 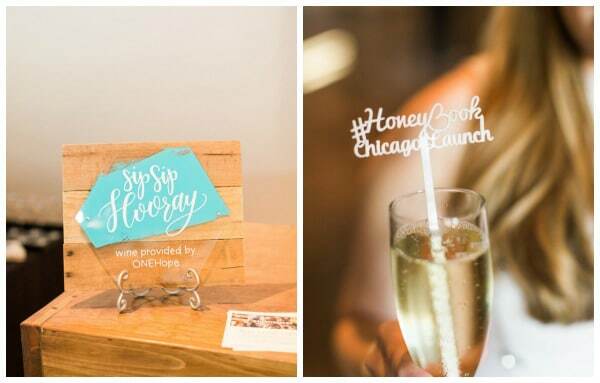 No detail went unnoticed as the company’s hashtag was made into fun drink stirrers! Sip Sip Horray!!! 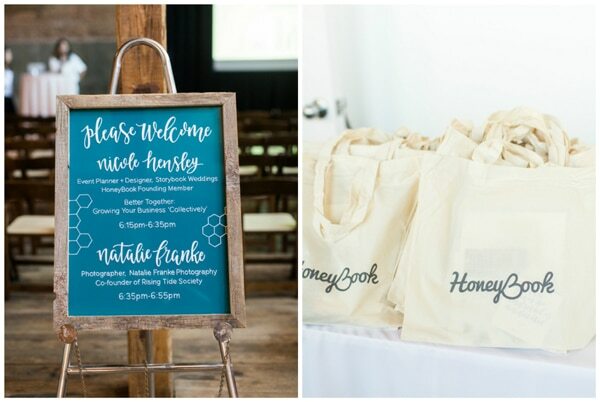 Guests left the event with HoneyBook bags filled with goodies and info. 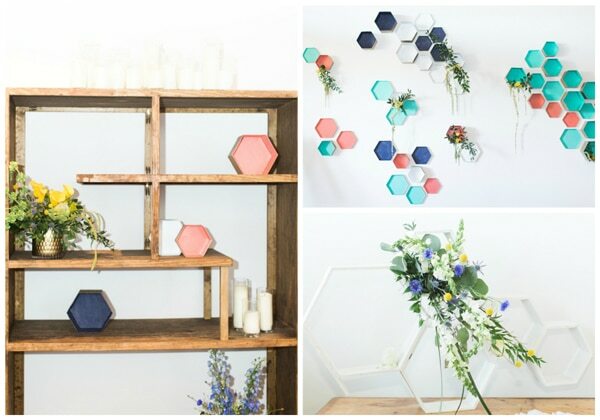 What a fun, bright honeycomb inspired launch event for HoneyBook!